This two-toned fruity drink is perfect for summertime – make it with alcohol for an adult treat, or leave out the booze for a fun, multicolored smoothie you can share with anyone. 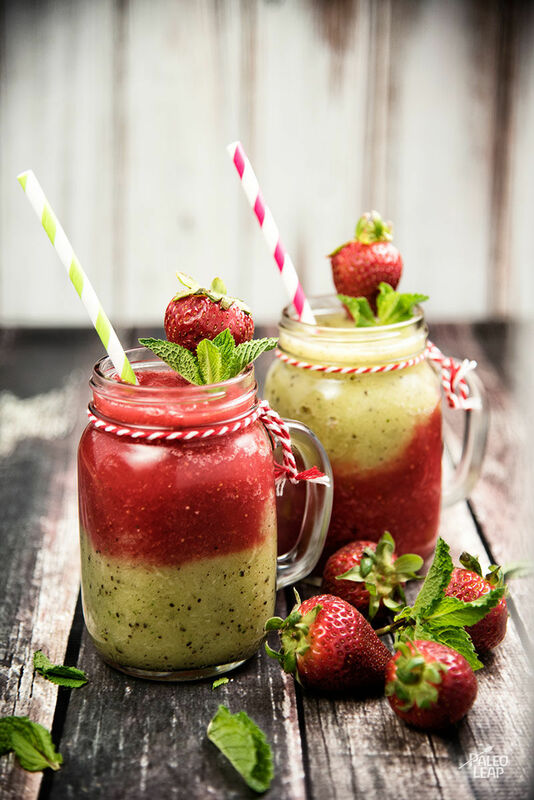 The layers of strawberry and kiwi add a pretty visual effect, with colors that are perfect for the warmer weather and blending the mint right in with the fruit gives it a fun and slightly different flavor. As for adding the alcohol to it – alcohol is very much a grey area, and many people find that they just don’t do well with it. For some it’s a gut irritant; for others it just makes them feel lousy. If you’re in the no-alcohol camp, just leave the rum out of it; the smoothie will still be tasty. But alcohol is also an important part of human social occasions, and eating Paleo shouldn’t cut you off from your friends and family. If you do tolerate alcohol well, most people are fine having a glass occasionally, especially when you’re mixing up your own drink and not relying on something full of food coloring and sugar from a bar. Whether you choose to make it alcoholic or not, this would be a perfect cool treat for a weekend in the summer, especially for a special occasion when you want something that looks pretty on top of tasting great. 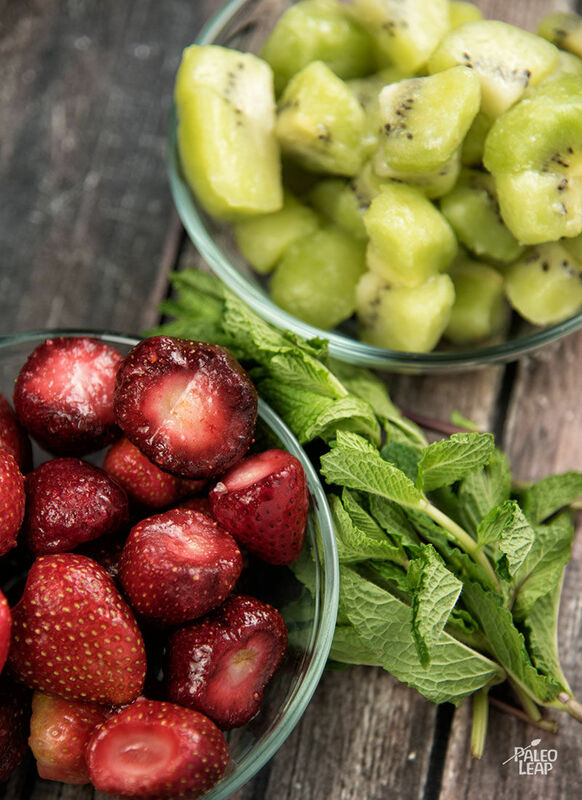 Combine the frozen strawberries, 4 mint leaves, 1 cup of ice, and 1 oz. of rum, and blend until smooth in a blender. Pour the strawberry mojito into 2 glasses, filling half-way. Repeat the process with the frozen kiwis and pour over the strawberry mixture.